Thank Glob they're finished. I'm tired of them and haven't put in the best effort. There are still a few more to do, but I've had it with power armour for a while now. I put a couple together with special weapons that I don't have miniatures to represent. I'm aware that meltaguns aren't considered an optimal choice, but then neither are standard troop Chaos Marines, and I've made a ton of those. The Havocs with Autocannons probably will see use... one day. 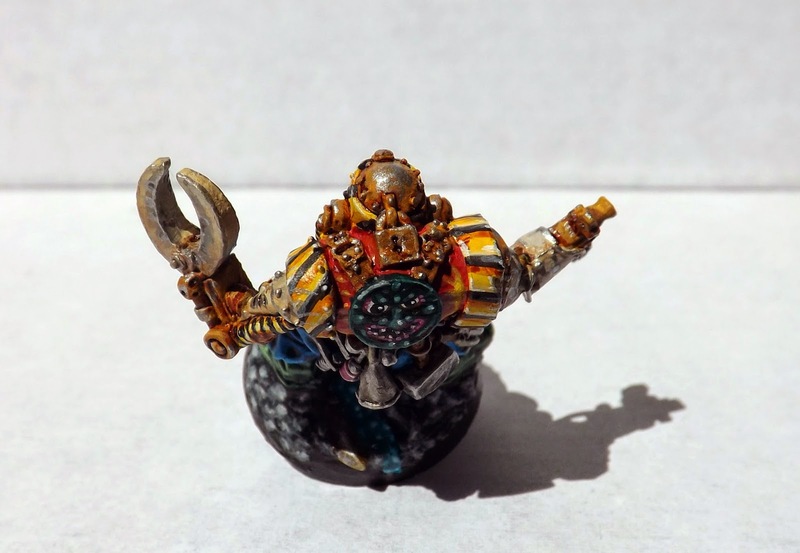 I noticed that when I was playing 40k, there were weapons and equipment options that I never modelled because they weren't effective choices in the game. This is a bit sad, so I'm going to start putting together mostly just what I like the look of now, while trying to keep it largely legal (I've so far resisted the temptation to do Heavy Plasma and Heavy Melta Havocs). 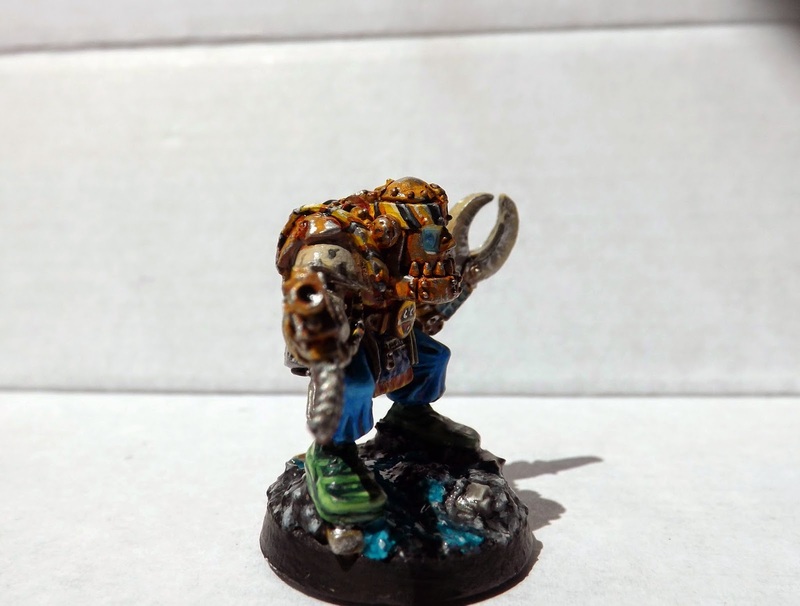 FW Missile Launcher. Might do another one of these. 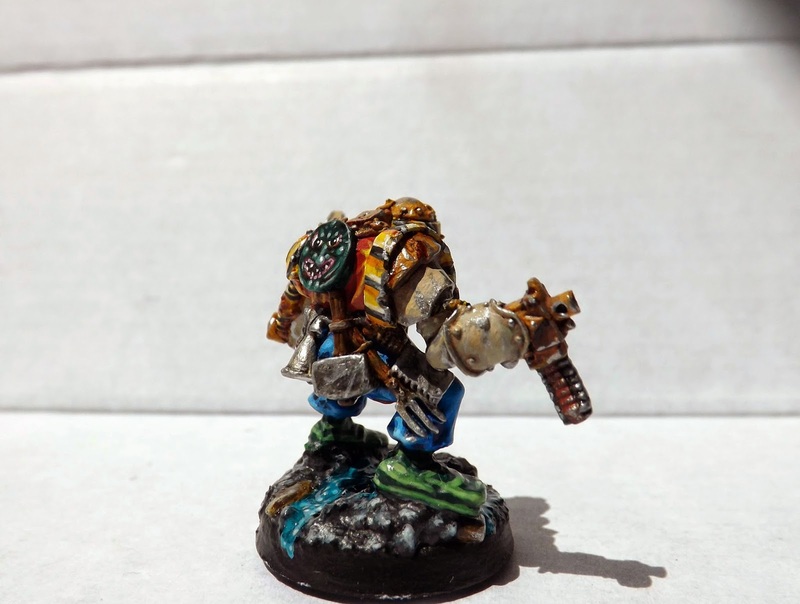 A bit annoyingly, the Forgeworld marines look huge compared to the current CSM squatting runts. I simply can't bring myself to go back and build up the bases to lessen the disparity, so I'll just headcanon it as 'variance'. I'm currently scouring the internet for more forum-based competitions because I really enjoyed painting something for that reason. 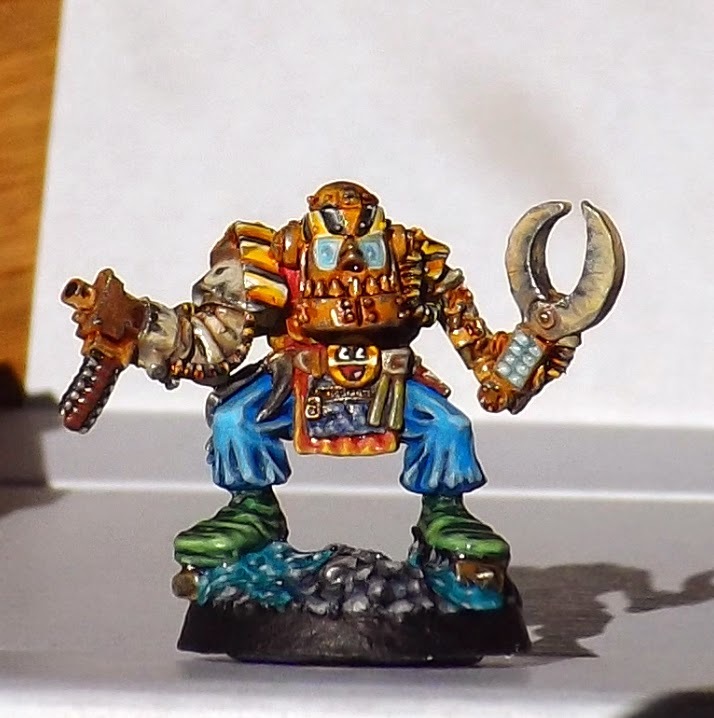 After an internet search, turns out this miniature is a 'Stainless Steel Painboy'. I'm unsure of the edition, but it seems quite old. His right arm is a combination of Mk3 Power armour, a plastic Chaos marine boltpistol and some cables, cardboard, and a bit of round base. 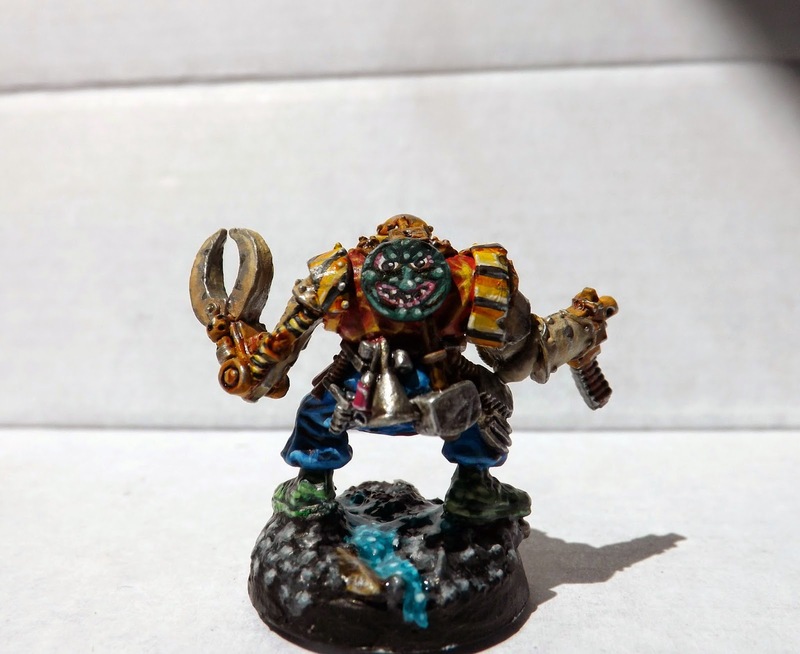 It's not really come out in the photograph, but his eyes and the slime on the base are varnished with gloss varnish. The hand-pistol was fun to discover. 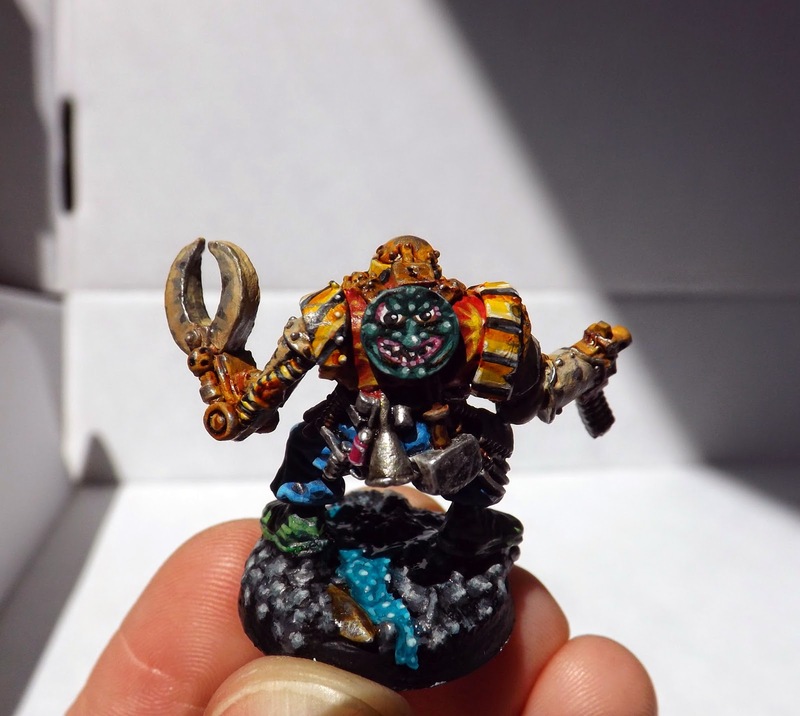 I've been reading Oldhammer blogs and I like the way the shields often had these crazy faces on them, so I had a go at one. Lots of tools on his tool belt, but no hands to reach any of them. His brain is safely locked up in case someone tries to pinch it. 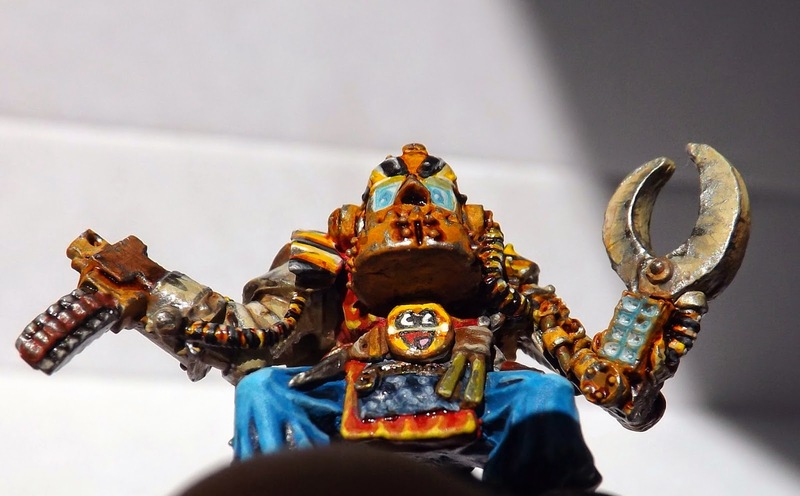 See more Necromunda hired guns in Yaktribe's first competition here!